Focusing on the importance of developing new curators and the expansion of this cultural axis, the 2018 Panorama Festival invited the young Festival – International Dance Festival of Teresina, which is in its 4th edition, to be the national curator of this year. The partnership wants to create new possibilities of experiences and give shape to the new artistic productions. – The Junta festival has as its essence in the curatorship works that deal with established perspectives and emphasize new forms and positioning, says Datan Izaká, one of the creators of the Junta festival. In programming, created this year by the two festivals (Junta and Panorama), in addition to three shows, there will also be workshops, interventions, public conversations and other actions. Highlight for the unpublished exhibition Corpo de Som, which has works by Helen Cole. 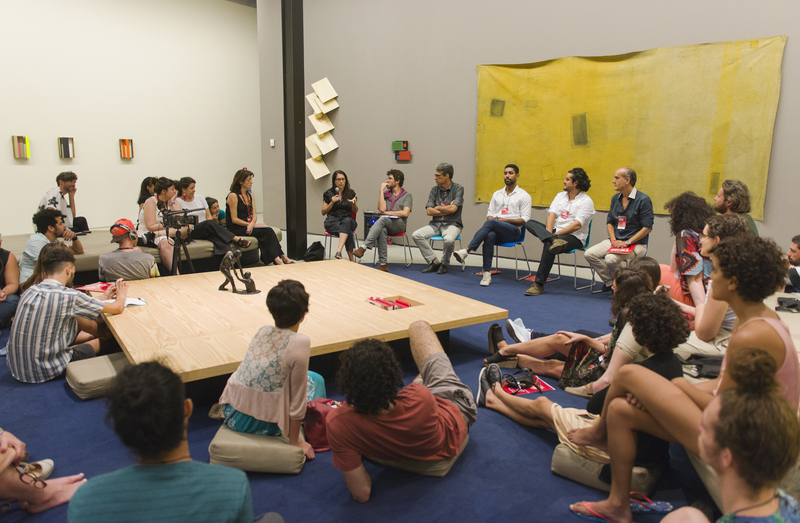 The English artist will be residing in both cities (Rio and Teresina), to compose the Breath installation, which will be exhibited throughout the month of November, at the Hélio Oiticica Municipal Center. The spectacle questions how we deal with the endless possibilities our body goes through everyday. In the scene, the performers Helen Mesquita, Daline Ribeiro and Ireno Gomes, elaborate images that will immerse themselves of the perception that everything is given from a chain of events, as in a sort of natural hooking of the life. The work proposes in its choreography the interrelation between the three performers, the public and a tangle of wires installed in a sensorial and intimate environment, created and directed by Datan Izaká. What defines your nature? Key question for the spectacle Trinity (the drag, the horse and the shawl), that brings to the scene three performers dancers of the Only Men Company of Dance. To the sound of Portuguese fados they develop the dramaturgy created by Samuel Alvís, who also directs and acts, dividing the stage with Adriano Abreu and José Nascimento, all of Piauí, Teresina. Spectacle is a fruit of the researches of the Field Contemporary Art and the House of Hip Hop Balde, in Teresina, Piauí. The work that took two years to create, proposes interaction with the public and elements of breaking, hip-hop, as well as other rhythms that are used to compose the work that reveals itself as a powerful explosion from the movements. The show is signed by the original Bomber Crew, where Allexandre Santos and Cesar Costa sign the design and also share the scene with the performers Carlos Adriano, (Nenem), Cesar Costa, Yavé Montuchô, Malcolm Jefferson, Maurício Pokemon and Phillip Marinho.